In this work, an electroless method of coating copper on the basalt short fibers using copper sulphate solution is described. In order to avoid any interfacial reactions in the basalt fiber reinforced metal matrix composites, the basalt fibers were coated with copper. 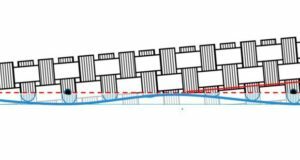 The effects of the time of sensitization, activation, metallization, PdCl2 concentration, pH and temperature bath on the extent of copper coating on basalt fiber are reported. The conditions used for electroless coating were optimized to obtain a uniform and continuous layer of copper. Using this method, it is possible to deposit up to about 25 wt% copper on the basalt fiber. 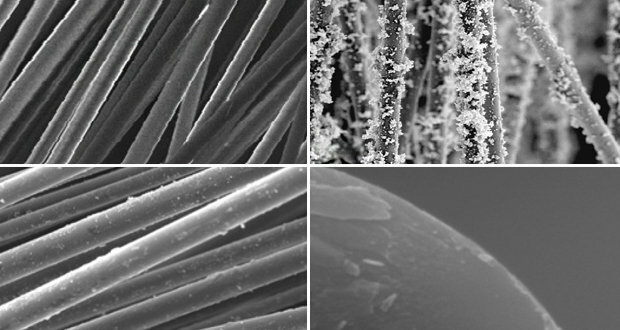 The resultant composite fiber was characterized by scanning electron microscopy (SEM)/energy-dispersive X-ray (EDX) during and after the coating process. 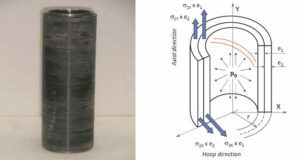 The effects of the thickness of copper coating on surface condition and also the tensile strength of the basalt fibers have been investigated. 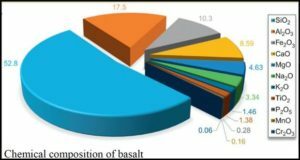 The study of surface condition of the coated basalt fibers by SEM showed that the copper coating at the thickness of about 0.2 μm had the best continuity on the basalt fibers. 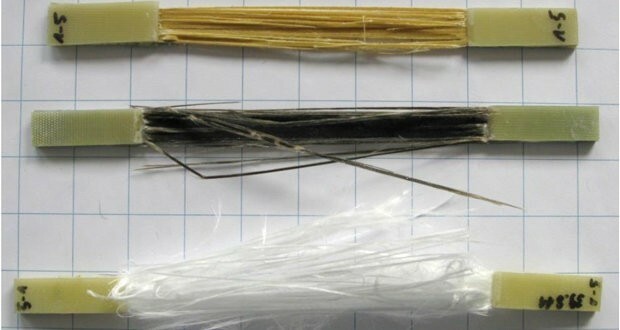 The results of tensile tests of basalt fibers coated with different thickness of copper showed that increasing the thickness of coating layer decreased the overall strength of fibers. S. Ezhil Vannan, Department of Mechanical Engineering, HKBK College of Engineering, Bangalore, India.